Serious deer hunters know their sport is a year-round endeavor. To give yourself the best chance for success this fall, it’s important to spend your off-season in productive ways. As Josh Honeycutt of Realtree’s “Brow Tines and Backstrap” blog writes, much of the fun of hunting is in the preparation. With that in mind, he offers 20 suggested things hunters can do this spring to be ready for next season. Check your tree stands, make sure they are safe, and replace them if you have concerns. Cut your shooting lanes now while leaves are off the trees, making sight lines easier to figure out. 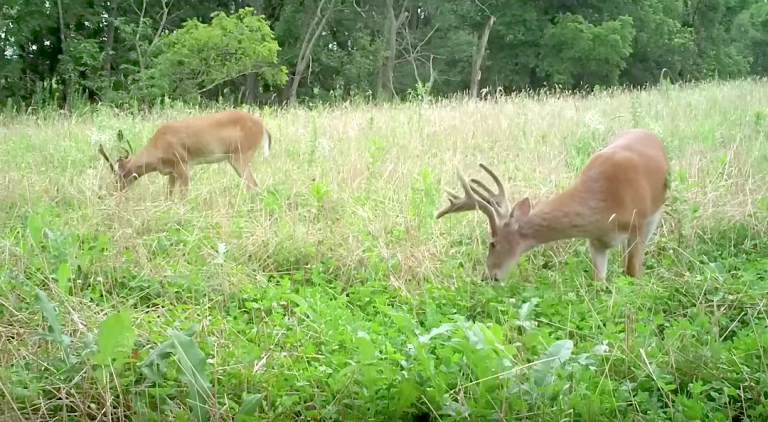 Take the time to walk the property where you’ll be hunting this fall, learning more about how deer use it. As you tour, map key areas like watering holes, bedding areas and food sources. Practice your shooting skills, which will come in handy when that key moment comes this fall. Look for signs that other hunters have been on the property, so you’ll be able to go to spots where others aren’t. Check out other potential places to hunt. If you don’t own your property, your access may change in the future, so be prepared to hunt elsewhere. Check out the full blog post, and as you are thinking about the coming hunting season, the best way to have certainty in your plans is to own your own recreational property. Now is a great time to contact one of our PotlatchDeltic Preferred Brokers to start your property search, so you can have a place of your own this fall! This entry was posted in Hunting, PotlatchDeltic and tagged #BuyRecreationalLand, #PotlatchDelticLand, Deer Hunting Tips, Deer Season, Hunting Land. Bookmark the permalink. ← A new look as you spring into our latest newsletter!